A failed Palm Springs golf course is being reborn as an “eco-modern agrihood” located on 300 beautiful acres of desert landscape. The Miralon residential community will include 1,150 solar-powered homes, along with almost 100 acres of open recreational space, including working olive groves, community gardens, and walking trails. The ambitious project is located on a former golf course, which was built, but never operational due to falling into foreclosure in 2008. Freehold Communities bought the property and will be collaborating with Robert Hidey Architects along with C2 Collaborative Landscape Architecture to create a sustainable residential community focused on providing a healthy lifestyle for the homeowners. The large complex will include multiple pools, a fitness and recreation center, and various amenities. Miralon will consist of more than 1,000 eco-friendly homes, all equipped with solar panels. 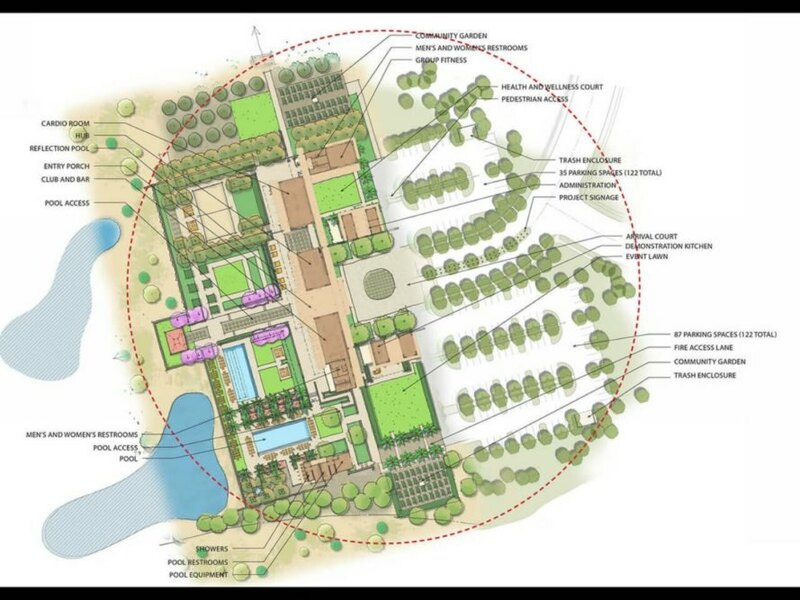 However, at the heart of the project is the massive amounts of outdoor space included in the master plan. The residential area will be surrounded by almost 100 acres of green space, which will be landscaped to create recreational space for the residents. 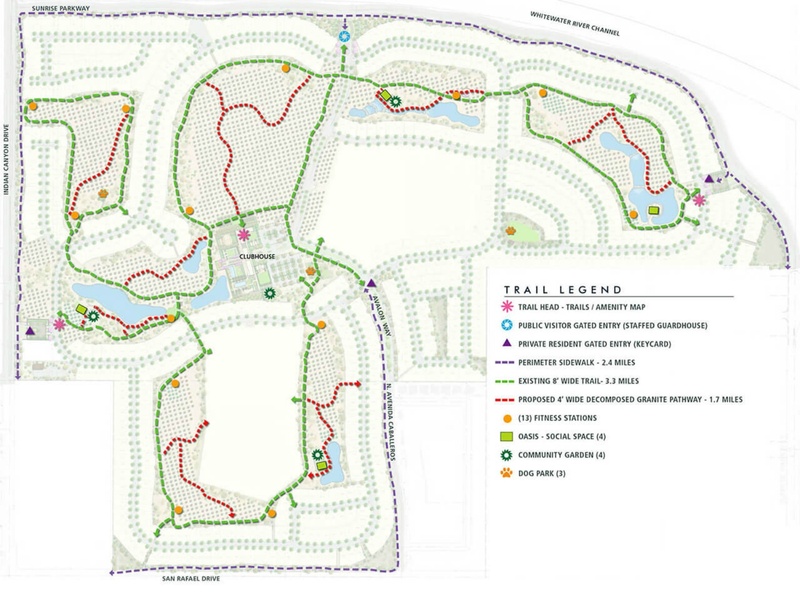 Former golf cart paths will be repurposed as 6.5 miles of hiking trails. The tee boxes and greens will be converted into community gardens as well as dog parks, exercise stations and community social areas with firepits and WiFi. 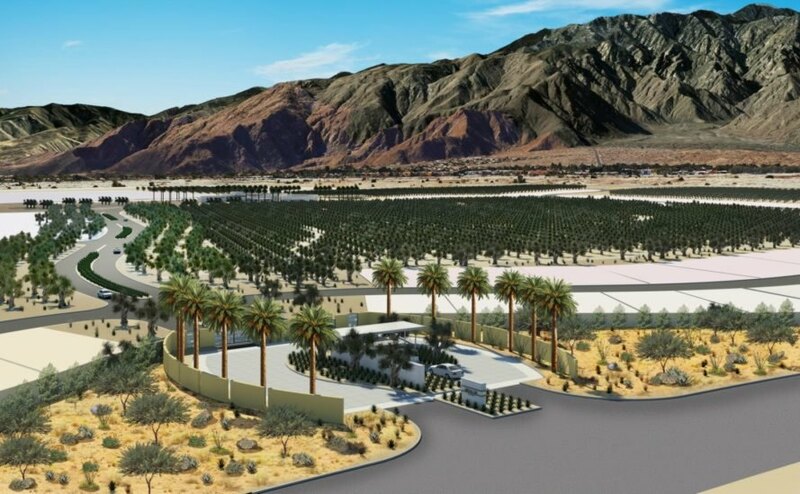 What’s even more impressive is that the homes will back up to more than 70 acres of working olive groves, which will be installed with a drip-irrigation system and cultivated by Temecula Olive Oil Company. The olives will be pressed on-site and be made available to the residents, along with produce from the community gardens. A failed Palm Springs golf course is being reborn as an "eco-modern agrihood" located on 300 beautiful acres of desert landscape. 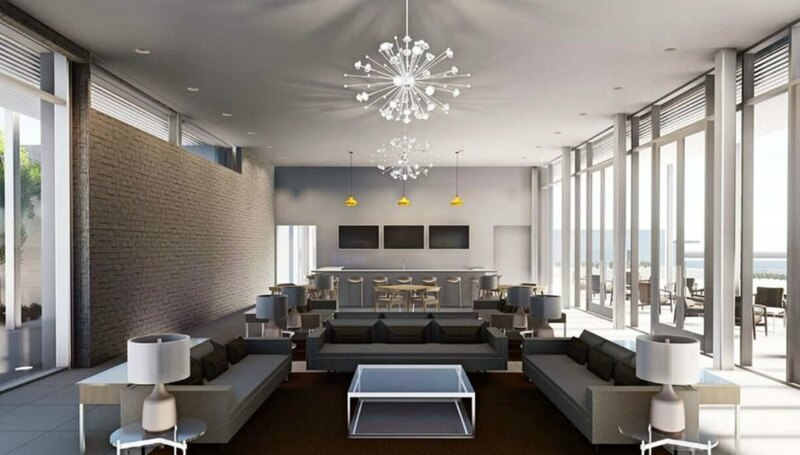 The Miralon residential community will include 1,150 solar-powered homes, along with almost 100 acres of open recreational space, including working olive groves, community gardens, and walking trails. The ambitious project is located on a former golf course, which was built, but never operational due to falling into foreclosure in 2008. Freehold Communities bought the property will be collaborating with Robert Hidey Architects along with C2 Collaborative Landscape Architecture to create a sustainable residential community focused on providing a healthy lifestyle for the homeowners. The Miralon community will have plenty of community spaces. 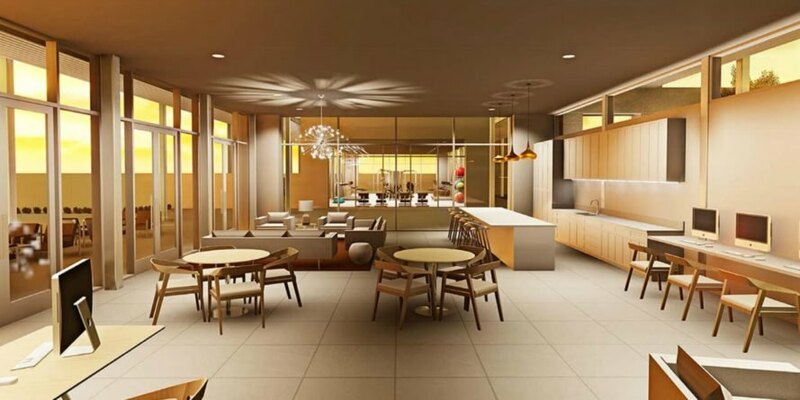 Miralon Palm Springs will an indoor gym and recreational areas as well as hiking trails. The large complex will include multiple pools, a fitness and recreation center, and various amenities. Miralon will consist of more than 1,000 eco-friendly homes, all equipped with solar panels. 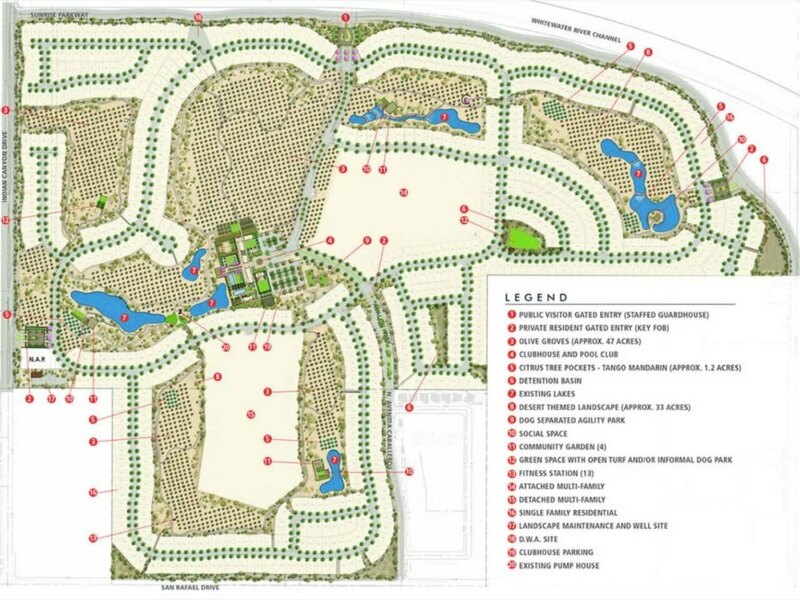 At the heart of the Miralon project is the massive amounts of outdoor space included in the master plan. The residential area will be surrounded by almost 100 acres of green space, which will be landscaped to create recreational space for the residents.